When you’ve been in a car accident, injured due to medical malpractice, or have suffered any type of personal injury in Florida, Hogan Frick is the firm you need to call. When you call 1-800-ATTORNEY, our experienced staff will walk you through the process and answer any and all questions you may have. Our attorneys will handle your case personally and professionally, and with your interests at heart. The lawyers at Hogan Frick understand that you are experiencing a difficult situation right now, and we look forward to helping you recover the compensation you’re owed. 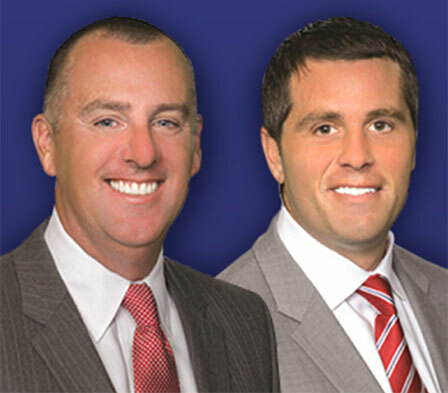 Brian Hogan and Joshua Tucker Frick are two very respected and prepared Florida trial attorneys who have now teamed up to represent injured people throughout our great state. 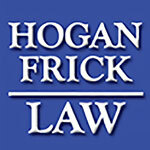 Both Mr. Hogan and Mr. Frick spent their initial years of trial experience working for the insurance companies. As former insurance trial attorneys working on the other side of personal injury claims, they have invaluable experience and a comprehensive understanding of how to best handle your case and protect your legal rights. The knowledge and experience garnered over the years in this field gives our law firm an upper hand since we know all the tactics used by insurance adjusters to try to limit the value of your claim. Please review our practice areas page for a full list of case types we handle. Our trial experience — Unlike many personal injury law firms out there, our attorneys have actual trial experience. If the insurance company refuses to negotiate a fair settlement, we are ready and prepared to take your case to trial. We are willing to go all the way to ensure that you get the justice and compensation that you deserve. Consult directly with our attorneys — We make sure to review your case on a personal basis. Most law firms will ask paralegals or secretaries to handle initial consultations, making it almost impossible for clients to get expert and personalized assistance when they need it the most. 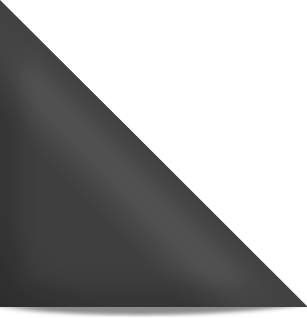 Contingency fees (no fees unless we win) — A contingency fee agreement allows you access to legal representation easily and without having to worry about up-front costs. You don’t pay us a single cent in legal fees unless we win your case for you. In addition, we make sure to discuss all details involved in your case before you become a client. This way you’re fully aware of what kind of outcome to expect, as well as the amount you will pay (percentage of winnings) with regard to contingency fees. The team at Hogan Frick is proud to help those in Florida who’ve been injured due to the negligence of others. With offices in Orlando, Kissimmee, Gainesville, Ocala and Miami, our law firm has the resources necessary to tackle any type of personal injury claim throughout the State of Florida. We will happily meet with you for a 100% free consultation at your home, at the hospital, at our office, or even over the phone if that’s what works best for you. Our attorneys are here to maximize your financial recovery and get you and your family every penny that you deserve. Call us at 1-800-ATTORNEY today! Aggressive Legal Representation That You Can Trust! Getting injured can change your life’s trajectory. Every year, thousands of Americans are injured on the road, at work, in hospitals or even at the mall. In some cases, a certain prescription drug you were taking may have adverse consequences and side effects many years down the line. Founded in 1991, the South Florida Injury Law Firm is a leading personal injury plaintiff’s firm based out of Southern Florida. Our experienced attorneys can help you file a claim and seek compensation for your injuries and related losses. We understand how life-changing these events can be, and that is why we seek to offer you the best legal representation available. You deserve to get back to living a normal and productive life as soon as possible. 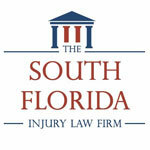 What Makes South Florida Injury Law Firm Different? What separates us from other law firms is the fact that we have the experience needed to help you win your case. With over 100 years of combined legal experience, our team can ensure you the best chance at a successful outcome. Jeff Braxton has litigated thousands of personal injury law from both sides of the aisle, Brooke Perez has specialized experience in workers’ compensation law, and Morton Kosto brings with him more than half a century’s experience practicing law. Jeff Braxton is a partner at the firm and is also the lead trial attorney. He received his B.A. from the University of Florida before going on to earn his J.D. in 1998 from St. Thomas School of Law. He brings to the table years of experience working for companies in the insurance industry, which gives him the insider knowledge needed to successfully fight for the rights of his clients. Mr. Braxton is also a member of several organizations such as the Florida Bar, the Florida Justice Association, the Million Dollar Advocates Forum, the Broward County Justice Association and the American Justice Association. Brooke Elizabeth Perez primarily handles the firm’s workers’ compensation claims, and also serves as an accomplished personal injury lawyer. Ms. Perez received her undergraduate degree from Tulane University in 1994, and her law degree from the University of Florida College of Law in 1998. She served as a Public Defender for Orange County, Florida, for 2 years before joining the South Florida Injury Law Firm. Feel free to call us any time of the day at 1-800-ATTORNEY for a free evaluation of your case. We look forward to taking your call!